It’s a rainy night and instead of checking papers, I decided to write my birthday blog. I decided to take my blog on another direction and not just focus on academic works. After all, that is what journals are for. It doesn’t mean that I would turn my blog into narcissistic rants. It simply means that I want to write about the different aspects of my life, so I am not stuck on posting ephemeral statuses on Facebook. So, my birthday. My partner and I initially planned a grand celebration, a birthday-around-the-world kind of celebration. No, we couldn’t afford to fly around the world, so we made a list of restaurants and food places that we would try for my birthday month. That was before we found out that we actually had a lot of commitments for this month. So the next best thing is to make the best out of the days that we have free. My birthday month started with an exhausting General Education Workshop by the department. But the silver lining here is that I got to see my department work together, despite the debates, questions, and sometimes conflicting notions. Our department picture was actually very pretty, if I do say so myself. Young, energetic, and passionate. 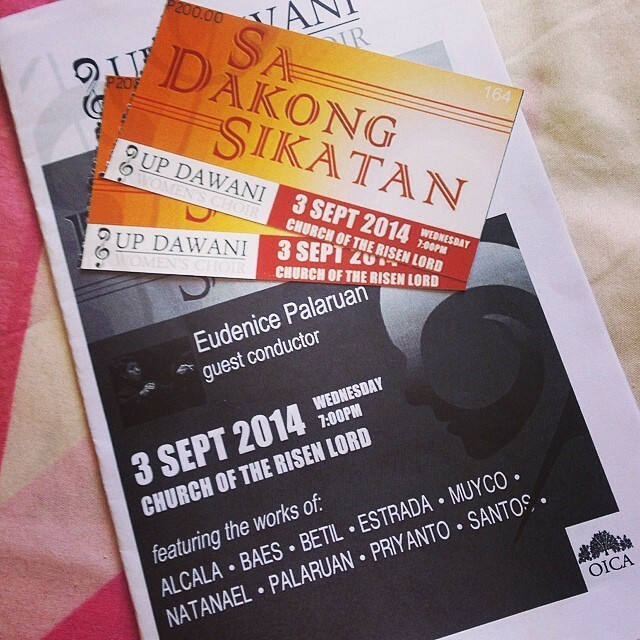 Our first activity for the month was watching the UP Dawani concert “Sa Dakong Sikatan”. UP Dawani is an all-female chorale of the UP College of Music. 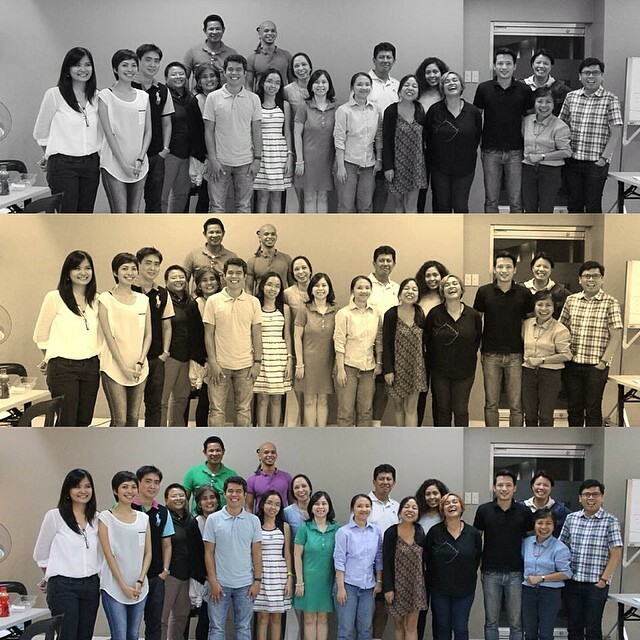 Krina Cayabyab, my co-teacher, invited me and Louise to attend, as she is performing with the group. It was an excellent performance. They performed pieces by South East Asian composers and all of it are very interesting. I particularly enjoyed “Bubuy Bulan” by Antonius Priyanto while “Sotto Voce” by Jonas Baes was quite challenging. Suffering in quite is something that resonates in me, though my experience is nowhere near the sufferings of the children of Cambodia. We also had the opportunity to experience “Veniet Dominus” by Ramon Santos, the newly awarded National Artist for Music. It was an amazing experience. It was our first time to enter the Church of the Risen Lord and it has some unique architectural elements. I remember how architecture in the 60s were inspired by space travel and CRL does reflect that. The conductor, Eudenice Palaruan, also took time to explain each piece that the chorale performed. As we are no music experts, such explanations are invaluable to the appreciation of the music and the over-all experience. The rain added a personal touch rather than hinder the character of the music we were listening to. Ian and I enjoyed the evening and spending it with good friends–Louise and Melo, was the icing on the cake. The concert wrapped up late evening and we decided to go to Spain. Just kidding. We just went to Sancho’s Churreria for late dinner. Come to think about it, at around 10 in the evening, we were right on time for dinner, had we been in Spain, particularly Madrid. Well, I can’t say that they serve authentic Spanish cuisine, but maybe inspired by it. My favorite there is the beef and mushroom pot pie. There’s just something so comforting about an oven-baked pot containing beef and mushroom, dripping with gravy, and topped with mashed potato. Ian had a seafood dish that is not quite memorable, but not terrible. It was just ok. We intended to end the meal with churros but decided on a lighter alternative dessert–the brazo de mercedes. It was ok, fluffy on the outside, the custard filling was creamy, and it was just at the right level of sweetness. 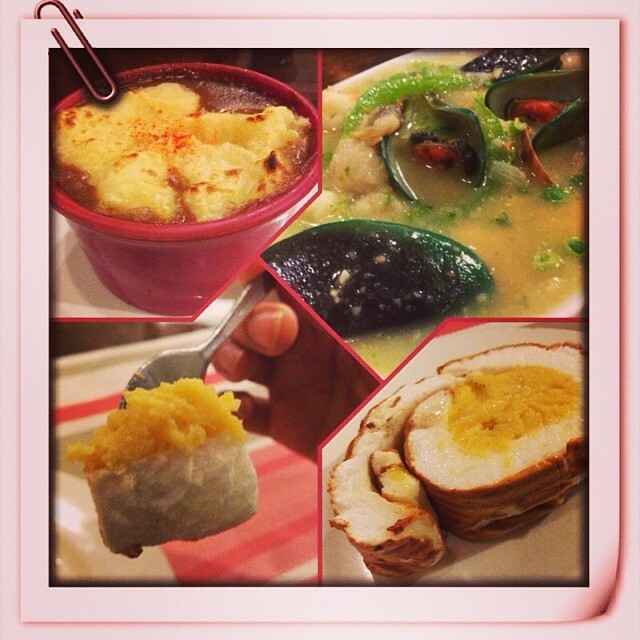 Over-all, we had comfort food on a very rainy evening, before heading home. 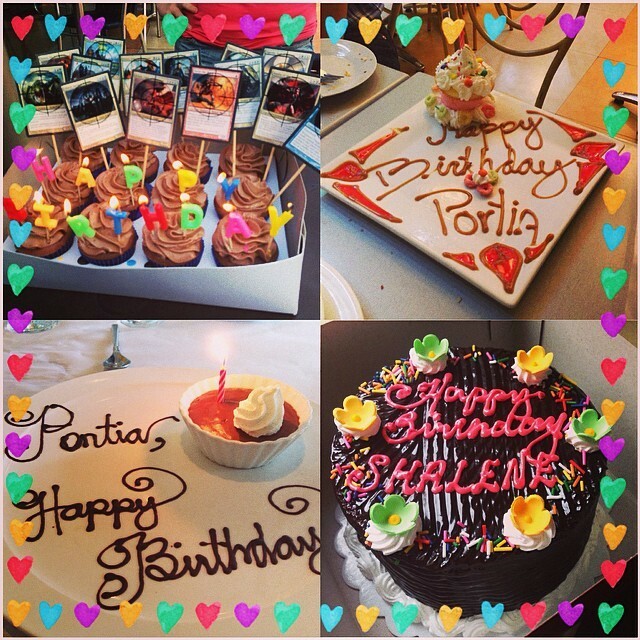 This entry was posted on September 22, 2014 by Portia Placino in Food Writing, Portia's Narratives and tagged art as performance, birthday, birthday cakes, food, foodie, Sancho's Churreria, thoughts, UP Dawani.